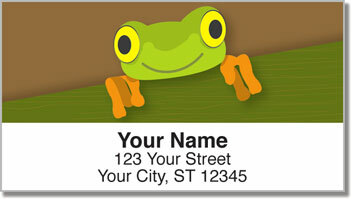 These fun and original illustrations will make your mail pop and hop with personality! The red-eyed tree frog is found in the rainforest canopy. His sticking feet help him climb up into the treetops. That gives him something in common with our return address labels. 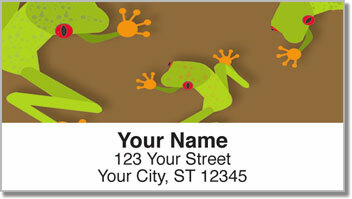 This product is printed on stock with a self-adhesive backing. That means all you have to do is peel and place your labels on every letter and package! 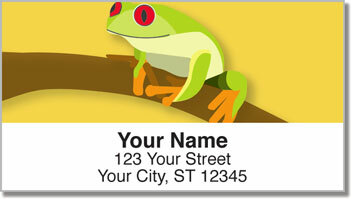 Red-Eyed Frog Address Labels from CheckAdvantage have convenience and style. They're the perfect finishing touch and will also save you a ton of time! 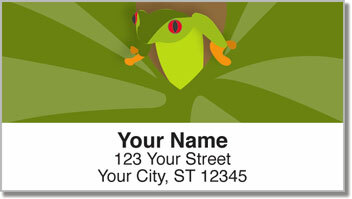 Get your very own Red-Eyed Frog Address Labels right now! Order them with matching checks today!